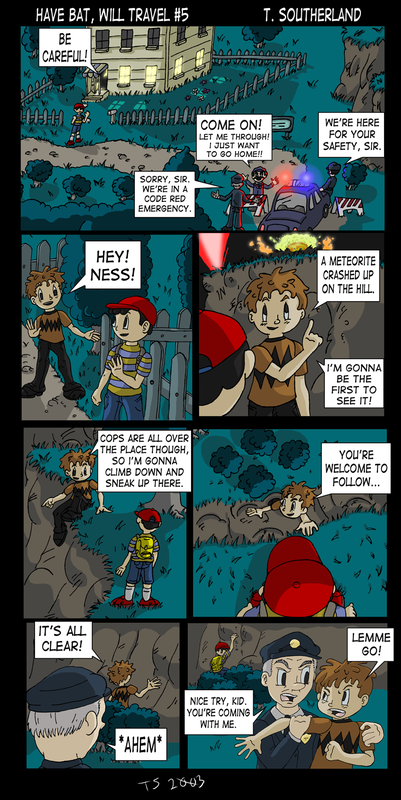 Ness relies on the power of misusing a friend to sneak up the hill. Entry for the 2005 Holiday Funfest. The enemy dropped a bag of candy corn. Ness took it. The aftermath of the first battle.